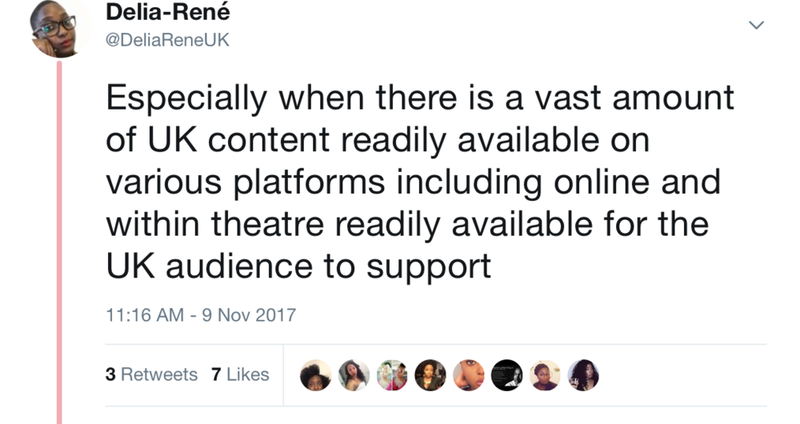 Those that follow me on Twitter were aware last year of my rant regarding UK audiences continuously placing blame on BAME creatives for the lack of content that they see on TV and Film. 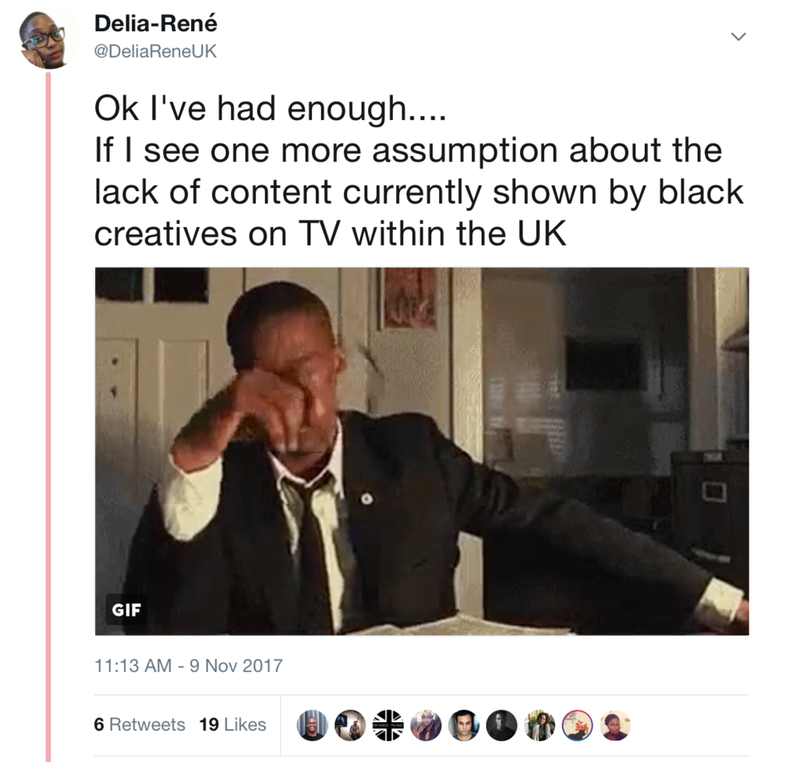 As a BAME writer/creator myself, I have been on this journey of creating content for over 5 years, and I am championing to create content that people irrespective of their race and background can relate to. My passion is creating real life characters and storylines that are a diverse, real and memorable as possible. Point Blank Period. I am unapologetically black, loud and don't give a damn and literally fighting to boot down doors to an white, old-age patriarchic system has created and still holding on to. As you can see this is a topic that means so much to me because I have witnessed so many fellow creatives like myself, have to deal with rejection after rejection when we approach production companies and broadcast channels with content that is not your stereotypical urban/violent/gangster narrative of actors and actresses of colour so I thought instead of constantly RAGING about it, I would use my blog as a platform to show the type of content and creatives who are out here! House Party is a 4 part drama web-series based on around a NYE party. Based on 5 friends Malachi, Derrick, Lola, Lisa and Ben who went to university together, the series follows the multiple characters who attended the party; now turned suspects, giving their recollection of the events following the death of Malachi . This is a classic "who done it" narrative but this series is excellently shot by Josh Bridge, who is no stranger to creating excellent content and produced "Heels Off" Youtube series. This drama also features "Ex-periences" actresses Elisha Myton, Nicola Lamb and actor Dontae Lindsay. I thoroughly enjoyed the way that this drama was shot, it was concise, colourful and edited to a very high professional standard so huge shout out to Josh Bridge for that! The acting is amazing, especially the police officers in the interrogation room with DEREK OPPONG as well as CHAE-JAMAL. I definitely will be tuning in next week for episode 2! What do you think of House Party?